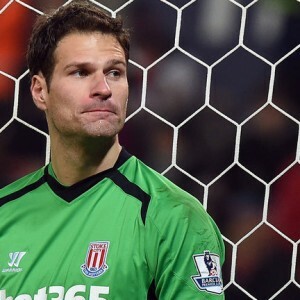 Asmir Begovic has completed his transfer from Stoke City to Chelsea for an undisclosed fee. The Bosnia and Herzegovina goalkeeper leaves Stoke after five-and-a-half years and will challenge Thibaut Courtois for the 'keeper's role at Stamford Bridge. His departure leaves England international Jack Butland and recent signing Shay Given as the senior 'keepers at the Britannia Stadium.